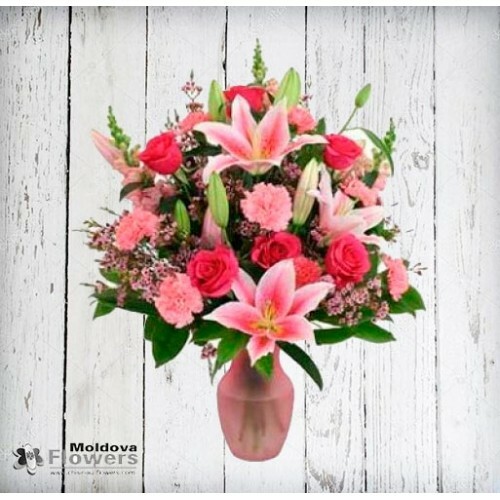 Say "Happy Birthday" like never before with this original design of all pink flowers. Featuring fragrant stargazer lilies, 7 red roses, long lasting pink carnations and charming pink waxflower. She will be speechless!